Dragons love treasure, and that makes them the perfect guardians, as they are loathe to let anything valuable slip out of their claws. 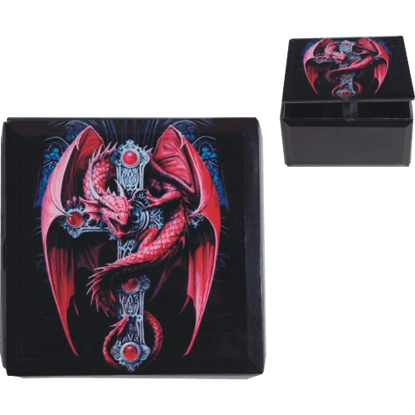 Our dragon trinket boxes come with the added benefit of featuring a guardian dragon built right into the box! 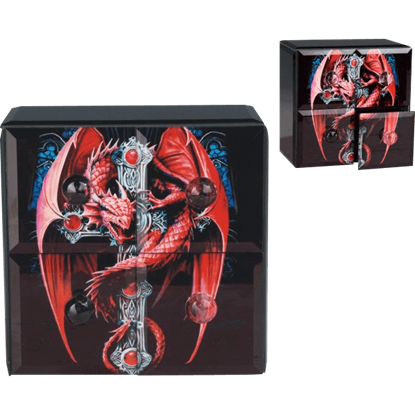 These dragon jewelry boxes come in various sizes, styles, and makes, but all of them are fantastic for storing away small trinkets, jewelry pieces, coins, and more. 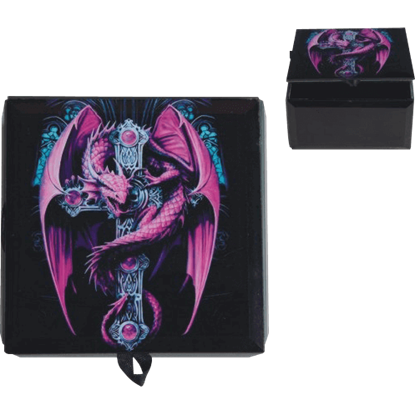 These dragon boxes are suitable for containing everything from little personal valuables to more mundane things like paperclips. 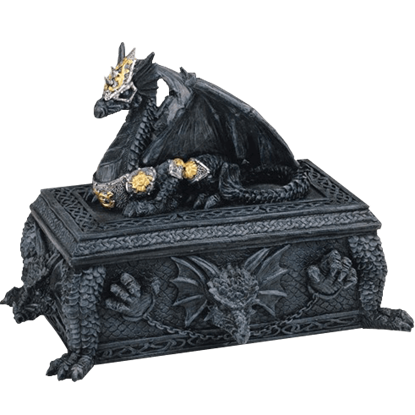 Some of our dragon trinket boxes feature lifelike dragons perched atop boxes and cauldrons to safeguard their contents, while others feature a stone look that is reminiscent of ancient carved art. 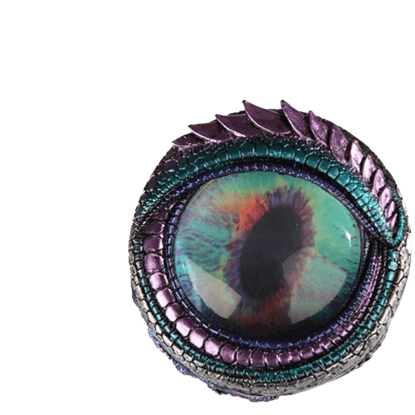 A few of these dragon accents even feature impressive techno-dragons of steampunk construction or skeletal undead dragons, as though fossilized in stone around your favorite valuables. 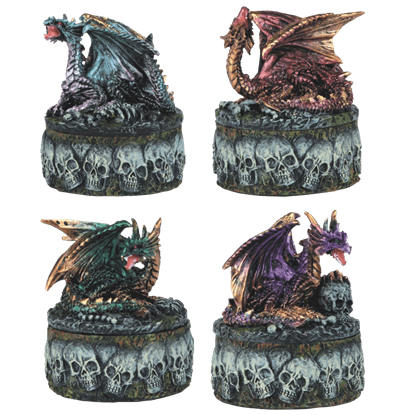 All in all, you could not ask for a better place to store away your little keepsakes then in one of these dragon trinket boxes. It is stressful for a dragon having to keep its eye on every coin scattered about its cave floor. Some wyrms prefer the peace of mind a treasure chest can offer. 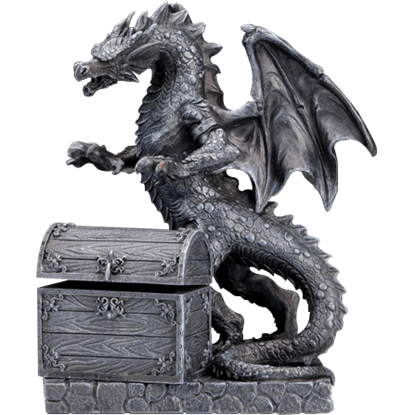 With the Black Dragon Treasure Box, you can enjoy the same security. 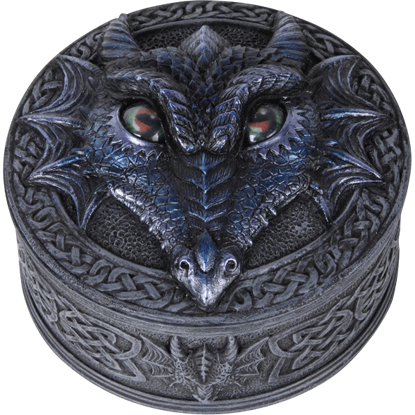 When you want to keep your stuff safe, it helps to have a dragon guarding it, and no dragon is more prepared than the one on the lid of the Black Dragon Trinket Box. It wears spiked armour and sits alert, ready to scare off thieves. Dragons often make it the object of their life to keep guard over their treasures. 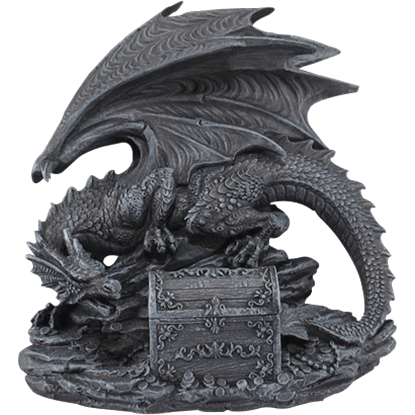 For this reason, the one depicted in the Black Dragon with Chest Statue makes a fantastic watchdog for your jewelry or other small personal items. No one will be able to sneak up on your secret treasures unseen when you store them in this decorative box. 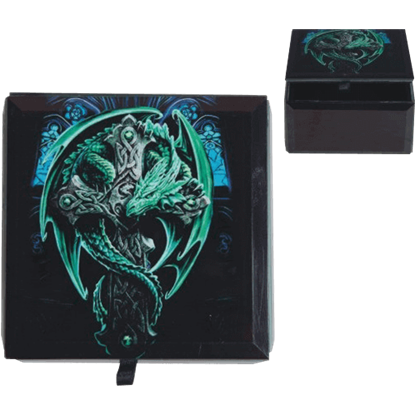 The Blue and Green Dragon Eye Trinket Box never blinks and never sleeps, so it makes a memorable gift for dragon lovers. 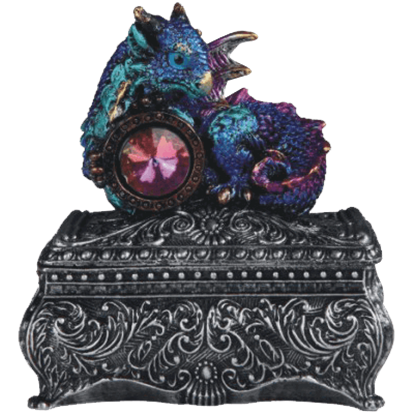 No creature is better to entrust with glittering treasures than a dragon, and the dragonling depicted on the Blue Baby Dragon and Gem Trinket Box is ready to guard your small keepsakes, coins, and jewelry with its adorable charm. Is there anything more wondrous than watching a newborn baby see the world for the very first time, especially if that baby is your favorite mythical animal? 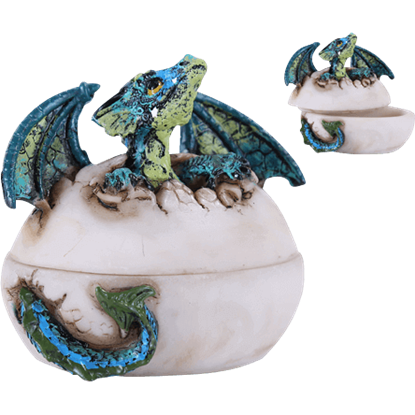 Display the sheer joy of youth in your home with the Blue Baby Dragon Box.